BioCampus Montpellier manages the core facilities for Life Sciences research at the RABELAIS BioMedical Department of the University of Montpellier. Back to 1998, the biomedical research institutes in Montpellier progressively shared their technology facilities and created BioCampus central facility in 2011. This unique facility allows ready access to a wide range of technologies and expertise in an integrated manner that helps drive forward research efficiently and cost effectively. 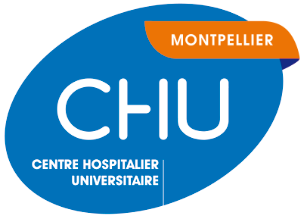 The facilities are not only available to researchers within the University of Montpellier but also to academic and industrial researchers from outside the University. They are also open to researchers across the scientific communities, including biotechnologies, pharma, agroscience, environmental science, and evolution. The unit is intended to put material and human resources at the disposal of the researchers and to carry out actions to support research. To give public users access to advanced technologies and make them benefit from the technical expertise of the unit engineers. To foster local economic development by enabling biotechnology companies to access high-performance equipment and to solve technological bottlenecks. To share rare technological and human resources for public and private actors of R&D. To anticipate future technological needs, make them available as early as possible and thus promote the evolution of the technological offer. To foster strong partnerships with industry and support the maturing of innovative ideas from public or private research into industrial applications. To strengthen clinics/academia links and promote access to patient samples and cohorts. To promote exchanges in the scientific field and build collaborative networks. To offer comprehensive training for investigators. BioCampus Montpellier’s facilities are spread over the main Health / Plant Sciences / Ecology and R&D research centers in the Montpellier area, within a 4 kilometers-diameter circle north of the city of Montpellier. The BioCampus Montpellier unit and its associated facilities are strongly supported by CNRS, INSERM and Montpellier University, the Occitanie Region and the European Union. Most of the facilities are locally and nationally recognized with a regional GPTR label (Grand Plateau Technique de Recherche, Occitanie) and a national IBiSA Label (Infrastructures en Biologie Santé/Agronomie). These labels put emphasis on high service and R&D qualities and openness to any type of users (local to worldwide, academic as well as private users). Some are also involved in the program “Investing for the future” (PIA), usually within the “distributed infrastructure in Biology” call, highlighting their national recognition. As providing users with the best service means involvement in quality management schemes to improve the offer, most of the facilities follow ISO:9001 management frameworks (an ISO:9001 certificate acknowledges full compliance to these rules). BioCampus Montpellier is co-funded by the European Union. Europe is involved in Languedoc-Roussillon with the European regional development fund.